The Top Startup Jobs series profiles MaRS ventures that are on the hunt for talent. This week: Toronto’s Smart Nora, a fast-growing company taking on everyone’s worst nightmare: snoring. Everyone has been affected by snoring. Either you’ve endured sleepless nights thanks to a noisy bedmate, or you’ve been the perpetrator, forever at risk of being sent to sleep alone on the couch, not to mention suffering the actual health risks. Enter Smart Nora, a startup that helps its customers and employees sleep well. Health is at the heart of Smart Nora’s business strategy, which holds that good professional relationships start with respect and a commitment to wellness. Smart Nora’s eponymous anti-snoring solution — a noise-detecting Pebble, portable case with pump and expanding pillow insert — is non-invasive, tackling snoring before it becomes a problem. Here’s how it works: when people fall asleep, their neck and throat muscles relax, decreasing the size of their airway, and, in the case of snorers, causing noisy vibrations. The Pebble (small, sleek and designed for your bedside table or headboard) listens for snoring. When the sound reaches a certain level, the silent pump (conveniently placed under your bed) inflates the insert (perfect for any pillow), gently moving a snorer’s head, thus opening their airway. And because different bedmates have different levels of tolerance, Smart Nora can be customized to activate at specific noise levels. The result? Sound sleep all-round. Since Smart Nora’s device is designed, prototyped and marketed in-house, all employees, regardless of department, are invited to learn from and contribute to the process. Junior Designer Joanne Mac, for example, appreciates this cross-pollination, as she gets to see the real-world impact her art has on things like quality control and advertising wins. “Ideas, more than anything else, are always welcome,” she tells us. And Smart Nora needs more minds. Currently, the company has openings for a web developer, customer support specialist and director of marketing, with plans to add a design manager and software engineer in the coming months. Smart Nora busts the myth that startups run on overworked employees. 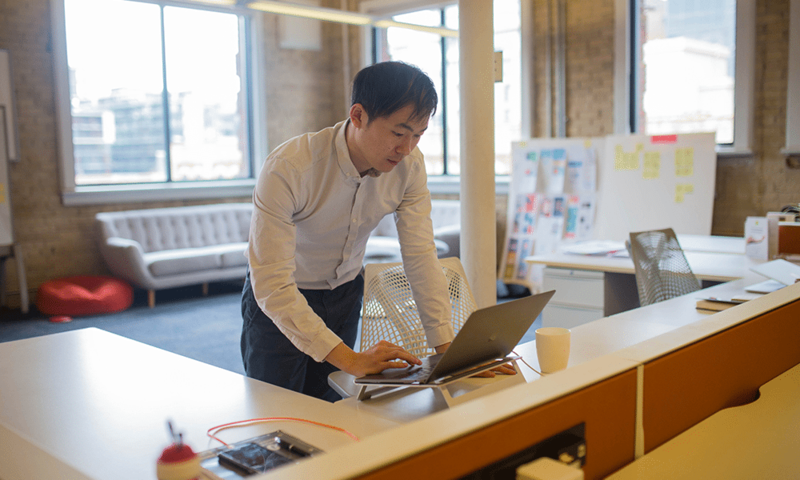 “We work efficiently and that means very little overtime,” says Kingsley Shen, ecommerce and digital marketing manager. 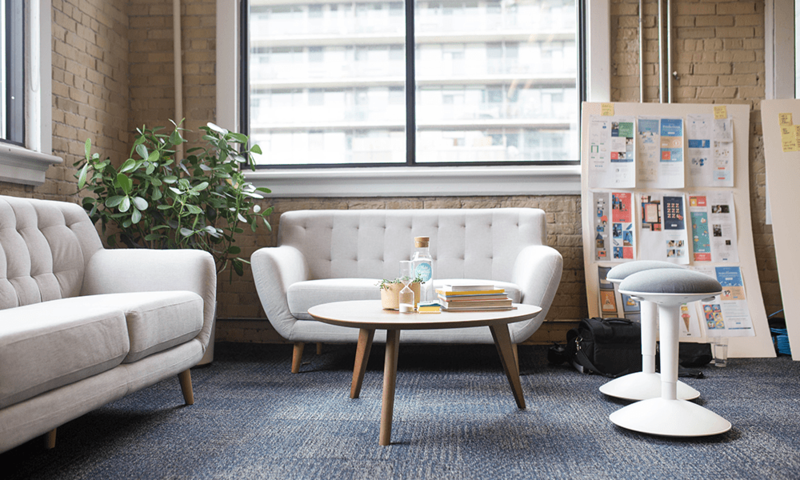 “Time with family and friends is always a priority.” He also says that mental and physical health are constant topics of conversation in the office – it’s how the team stays on top of tasks and empathizes with its growing customer base. After a good night’s sleep, the key to a good day is good food. And there’s plenty of that at Smart Nora. On Mondays the team gets together for breakfast, on Wednesdays they gather for lunch, and Friday afternoons are for wrap-up meetings. Also catered with food. Standard team-building activities include ping-pong tournaments and escape room adventures. And the office’s Fashion District location provides a seemingly endless stable of post-work bars and restaurants. Smart Nora was born in 2015 off a Kickstarter campaign fuelled by customer feedback. That inclusive philosophy still drives the company, both inside and outside the office. 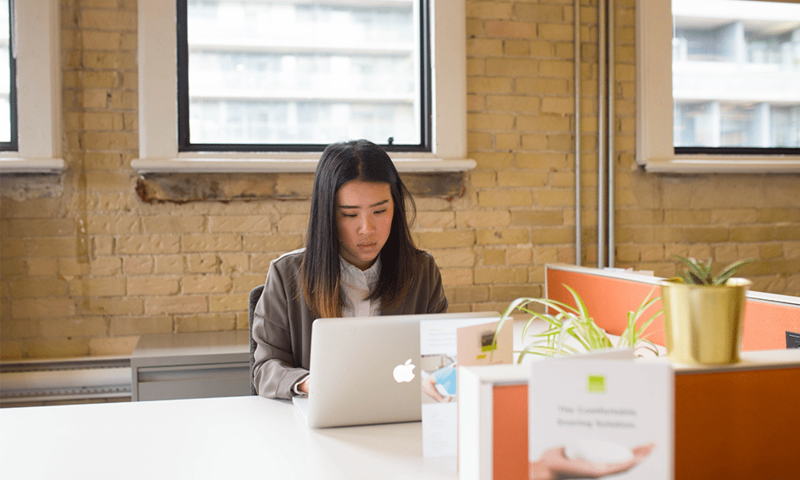 “Being an active member of Toronto’s startup ecosystem is so important to us,” says Office Manager Anne Simpson-Porco. She tells us that openness and collaboration remain Smart Nora’s core values. 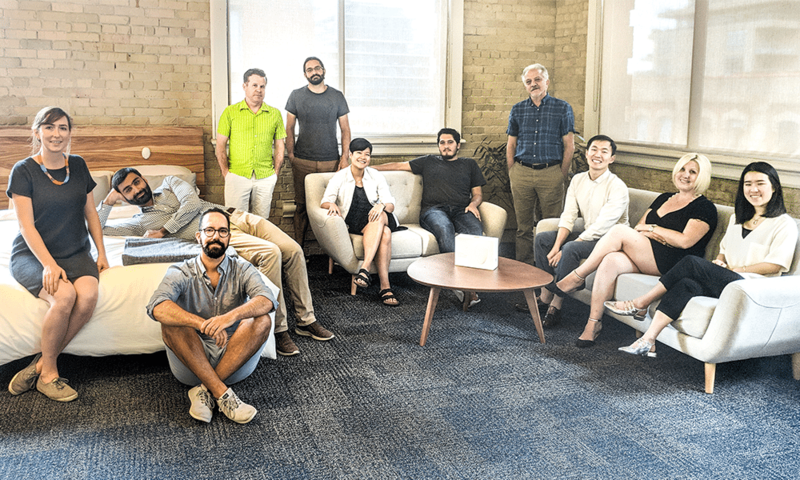 To meet members of the team and see their product firsthand, Smart Nora will be participating in upcoming Toronto events like Elevate and its Startup Open House. The most rewarding thing about working at Smart Nora is improving people’s lives. “I actually started working here after purchasing the product for myself,” says employee Sean Menard. A customer experience team manager, Sean routinely hears success stories from satisfied (and rejuvenated) buyers. As Smart Nora continues to grow and expand its offerings, don’t sleep on opportunities to join this growing startup.